The Automotive Technology program provides instruction in the latest, most comprehensive methods of diagnosis, services, and repair, of today's sophisticated automobiles. This program enables students to actually perform service jobs such as oil change and lube jobs to brake repair, overhaul of engines and transmissions, and diagnosis of electrical and computer systems with the latest diagnostic equipment. 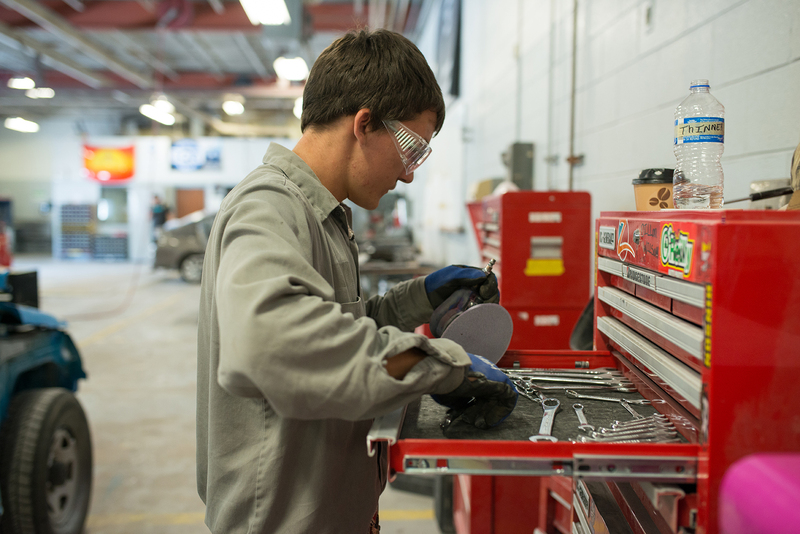 The Automotive Technology program is Automotive Service Excellence (ASE) Certified, and with the training available in this program, a student can become ASE certified as well. Students may specialize and be certified in one are of the program such as engine repair or climate control, or they can take the entire program and become certified in all areas. The CRT program is self paced and training can be individualized. Diagnose, adjust, repair, or overhaul automotive vehicles.